Insects and bugs have always been a nuisance when they get indoors. And their stinging, biting, and buzzing around can ruin what should be an enjoyable time in the great outdoors. But, besides being pests, we now know that insects play a crucial role in transmitting disease. In particular, mosquitos carry a variety of serious diseases – they’ve even been called the deadliest animal on Earth. This year, mosquitos have been linked to the Zika virus, a scary disease that can have devastating effects. The Zika epidemic has been all over the news this summer. It started in Brazil in 2015 and has already spread north, with over 2,000 reported cases in the US so far. Zika infection can lead to serious health problems like paralysis, and the World Health Organization has labeled Zika-related birth defects an International Public Health Emergency. Of course, door and window screens play an important part in keeping mosquitos and other insects out of your home and give you protection from Zika. So it’s no surprise that the Center for Disease Control recommends that you install screen doors and make sure that the ones you already have don’t have any rips, tears or gaps. There are a few factors you’ll want to check on to keep bugs out while allowing the fresh air in. Make sure all your screens are bug mesh grade. Screens come in different mesh, and unless your screens have a tight enough mesh, mosquitos and other bugs will be able to get through. Mesh size is measured by the number of openings. 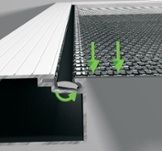 For example, a standard 18x14 mesh has 18 holes running horizontally and 14 running vertically every square inch. Standard mesh is sufficient for keeping mosquitos out of the house. But in areas like Florida where no-see-ums and other smaller bugs proliferate, a 20x20 mesh is more effective. Check for gaps and tears. These are the obvious holes that will allow bugs to get in. They tend to occur in high traffic areas, especially those frequented by children and pets. When repairing a screen door or installing a new one, consider a stronger screen like our Phifer Pet Screen or Super Screen. Both are designed to withstand pressure without tearing, keeping bugs out of your home and saving you money on future repairs. Check for less obvious gaps. A sagging screen door will allow gaps big enough for bugs to enter. Also be sure to check the sweeps and stops at the bottom of your screen door, which can rot away, creating more gaps. 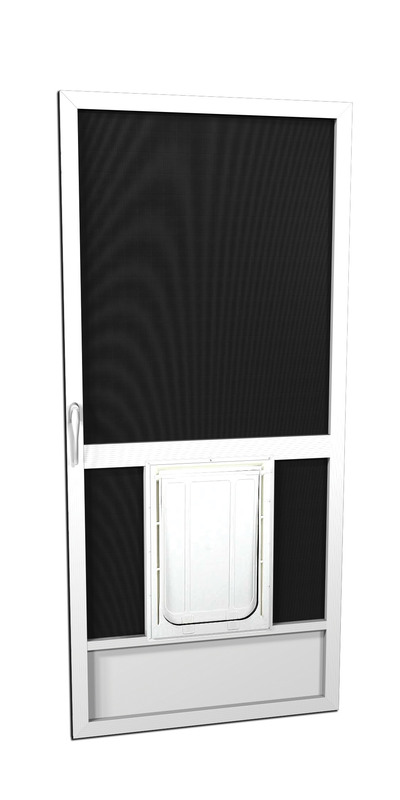 Look for an adjustable sweep so that you can customize its heigh to your door. Consider a wool pile seal, which, unlike plastic, won't rot away, keeping mosquitos out of your house and saving you money in the long run.